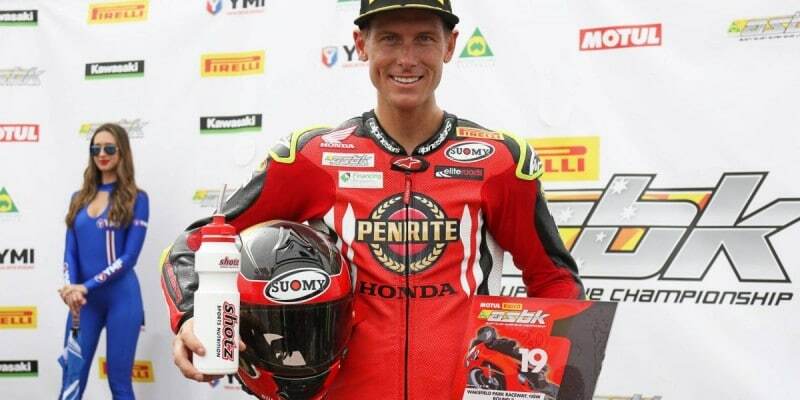 Penrite Honda Racing rider and reigning champion Troy Herfoss has earned victory at Wakefield Park’s second round of the 2019 Australian Superbike Championship (ASBK), making it four-straight overall wins at the technical New South Wales circuit. After qualifying in third place and riding in front of a hometown Goulburn crowd, 32-year-old Herfoss put on a stellar display in both premier class outings to record a perfect 1-1 scorecard, promoting himself to second in the championship standings as a result. Race one saw him make multiple manoeuvres to position himself in P1 following 20 gruelling laps, crossing the line with a 1.189s advantage while also setting a new lap record of 57.525s. Herfoss couldn’t be touched in a shortened race two to secure another win, which was red-flagged at the 13-lap mark and ultimately declared by officials. “Today was so, so much fun,” Herfoss stated. “The new qualifying format this weekend with Q2 being really short made it quite intense and I really enjoyed it doing a PB lap of 57.1s for third on the grid. I knew it was going to be a tough two races, but I knew I was the only one who had done a long-run on the race tyre. 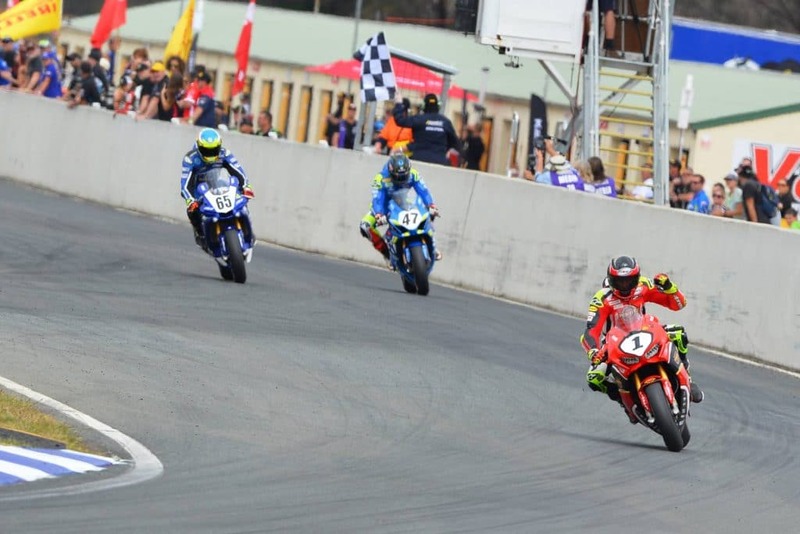 As a result of his phenomenal performance at round two, dual ASBK champion Herfoss has climbed from sixth to second position in the point-standings, only five points outside of the lead despite his troubles experienced at Phillip Island’s opener last month. In just his second outing with the ER Motorsport-operated Penrite Honda Racing outfit, Chiodo continued to adapt to the CBR1000RR SP Fireblade to wind up 13th overall. Starting from P14 on the grid, the capable young Victorian pieced together a pair of 13th-place finishes in what was a consistent effort. Penrite Honda Racing team manager Shaun Clarke expressed his delight in Herfoss’ commanding victory at Wakefield Park – winning every year since 2016 – and explaining the squad has worked hard on a refined 2019 set-up to ensure both the reigning champion and youthful newcomer Chiodo can continue to be competitive. “We had to make up for round one and come back hard, which I think we have,” Clarke explained. “We’re definitely well and truly getting on top of the bike again as it is slightly different to last year – we’ve been working with K-Tech Suspension and they’ve been really supportive in helping us advance up the grid. 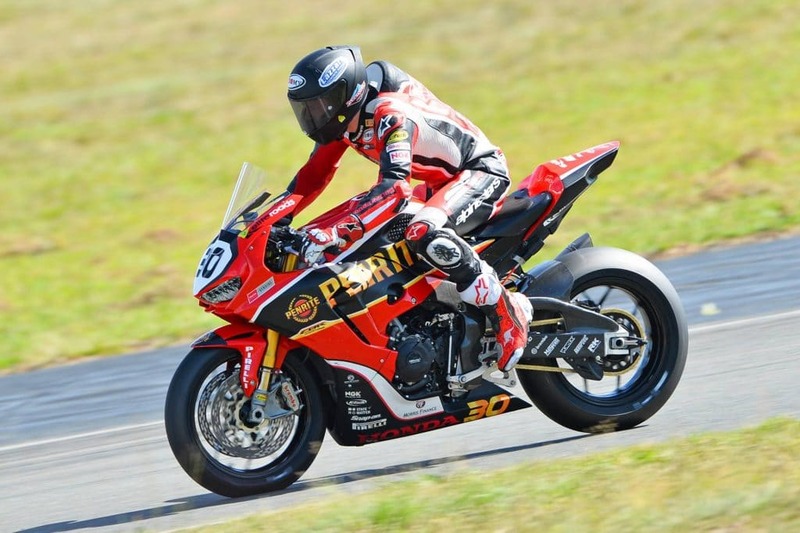 Penrite Honda Racing will be out on-track next at round three of the Australian Superbike Championship, scheduled for 26-28 April at The Bend Motorsport Park in South Australia. Follow Team Honda Racing on Facebook, as well as @teamhondaracing on Instagram and Twitter for the latest updates.